The New Zealand student visa process is time consuming and students should apply at least 2 months before their course start date. You will need to provide documents that show that you can pay for the entire course of education. Such documents include your movable or liquid assets such as bank statements and income tax papers. You would also have to provide your academic mark sheets and degrees as well as an acceptable IELTS score. A detailed cover letter stating your reasons to study in New Zealand along with your goals after graduation and details of your finances should also be included. You will also require health records that have to be submitted along with your study visa application to the New Zealand high commission. If your course at a New Zealand institute is less than 12 weeks you can apply for a visitor visa. However, if you plan to undertake an academic degree course or a vocational course greater than 12 weeks you will need a student visa. Keep in mind that the processing of a student visa for New Zealand can take one to two months and hence apply early. "KGC was of good help to me as they helped in choosing colleges and also in choosing my final college which was a big stepping stone in my life. 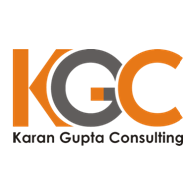 Karan and the team were of great help."